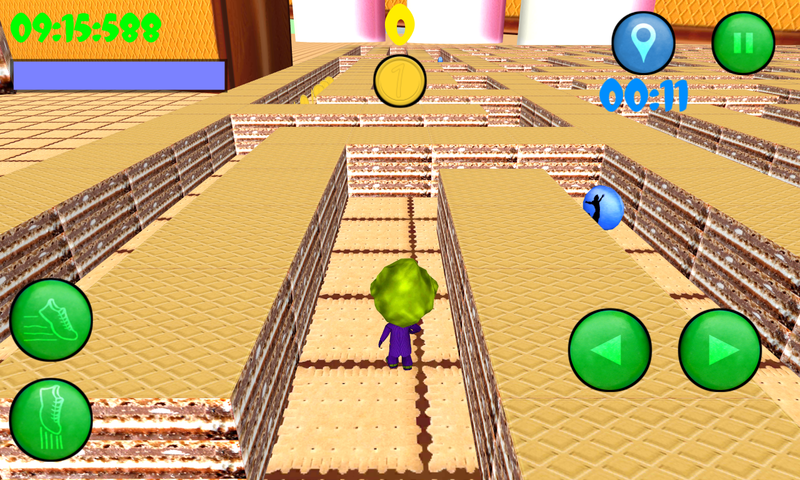 Candy Maze 3D is a new, completely free adventure/logic game. 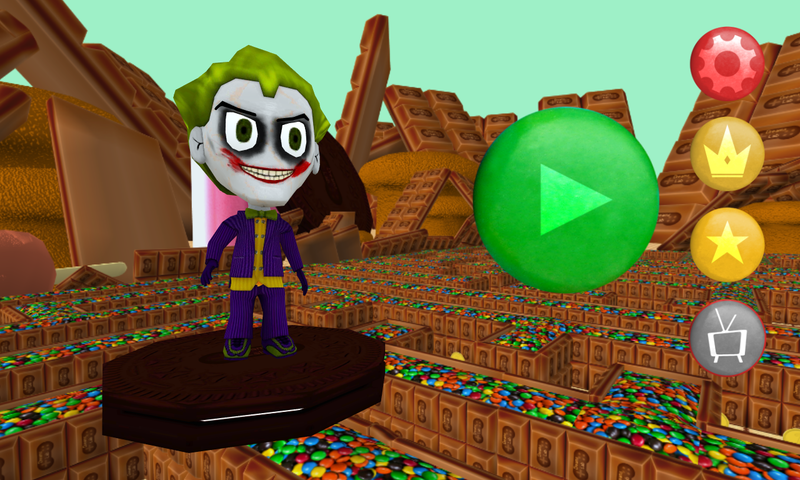 In our 3D Maze game You play as The Joker, who must get out of the candy maze as quickly as possible. To pass the maze you have a limited time, customized to the difficulty level. 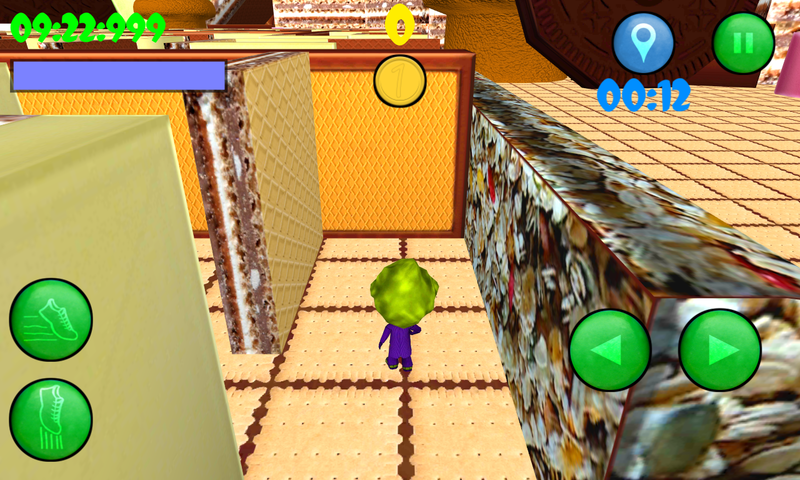 In the game Candy Maze 3D time works in your favor, unused time is multiplying coins you've earned. 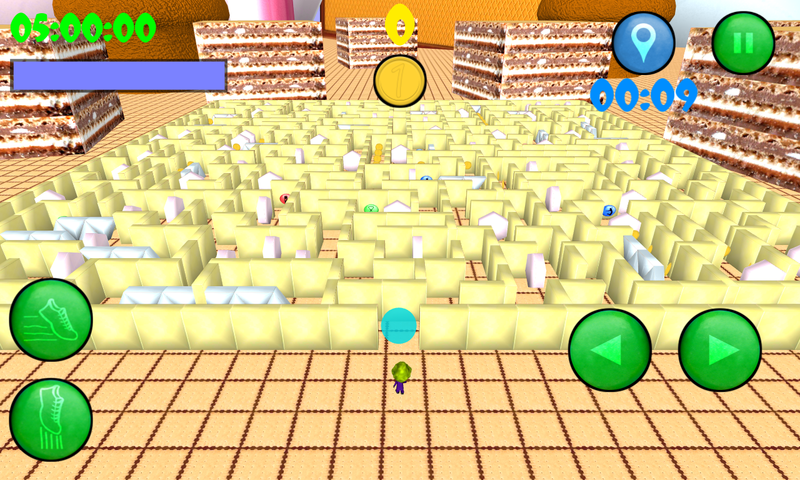 The gameplay has several interesting features: * map for easy finding the right way, available only for a limited time. * jump that allows you to check the right way, very helpful when you have used up the map time. You can use it for the whole gameplay. * stamina bar that drops down while you running and jumping. * Bonuses! - Green candy - 30 seconds more to pass the maze - Blue candy - your jump height increases - Red candy - an endless stamina for a limited time - Pink candy - extra time to view the map - Orange candy â€“ speed up a player for a while - Yellow candy - boost stamina The player has 6 labyrinths composed of different kinds of candy. To unlock the mazes you must get the right amount of coins. 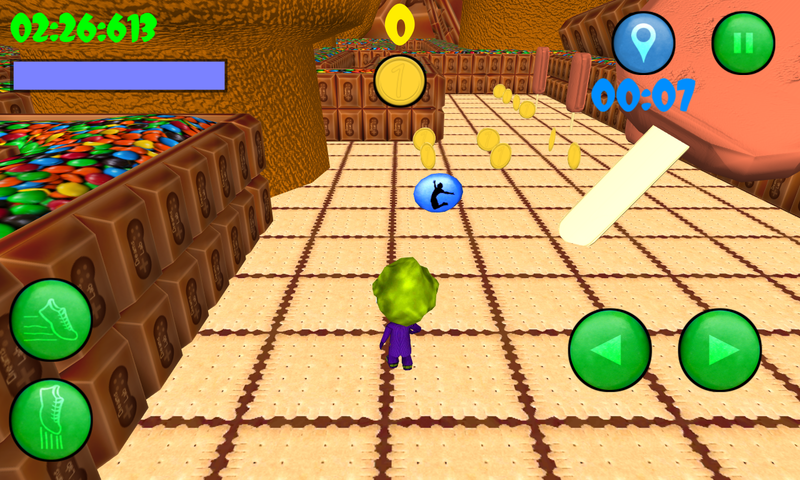 In 3D Maze There is also a lot of upgrades to improve the gameplay and to help you pass the maze in less time. Join the competition between players around the world! 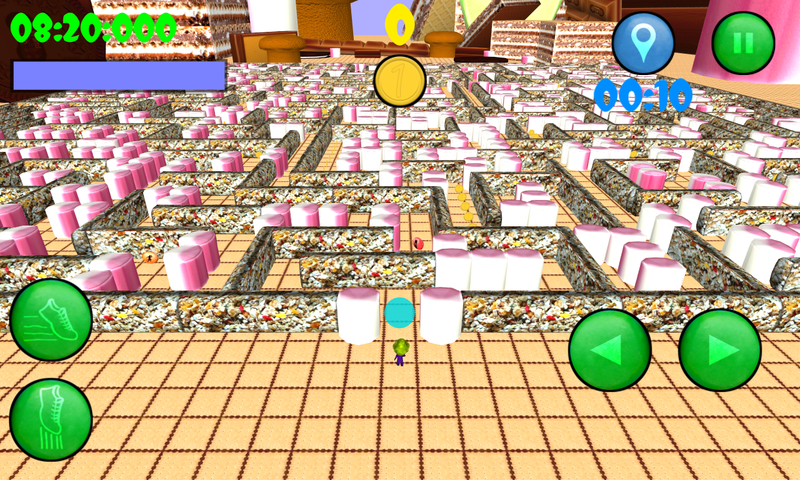 Candy Maze 3D is the best and most complex game of labyrinths, 3D Maze and puzzle games on the market! You must have it! 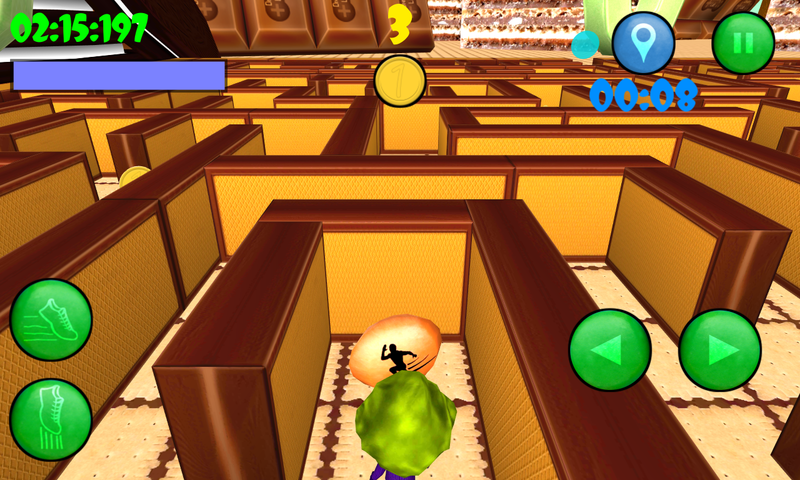 Highly entertaining Free 3D Maze Game for kids, boys, girls and all ages!